Happy Easter Sunday dear readers! Also, Happy Passover too! 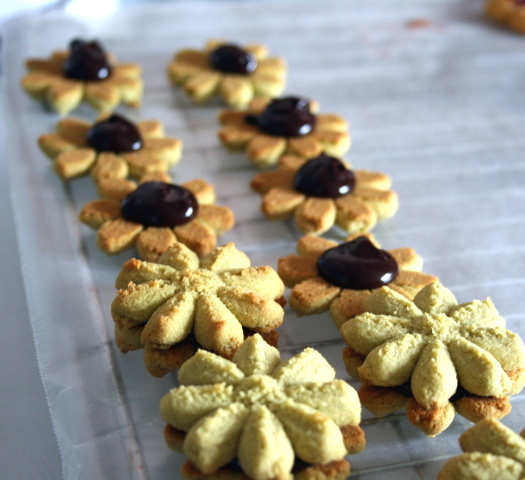 I whipped up some spritz cookies for this spring holiday season. Last year I made Easter Biscuits, and wanted to try something difference, hence the spritz! They kind of look like Christmas spritz they way that I made them, but oh well! Since my husband is observing Passover and is not eating grains (chametz) or anything else labeled as kitniyot, these spritz are Kosher for Passsover and gluten-free too! How? 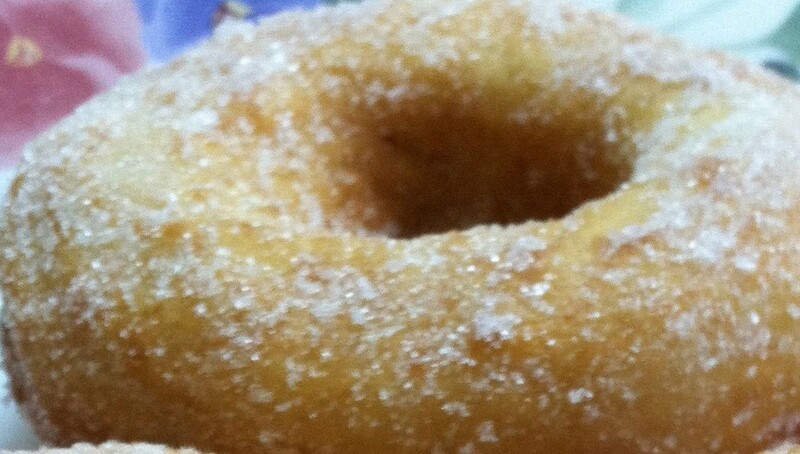 The wheat flour is replaced with coconut flour! 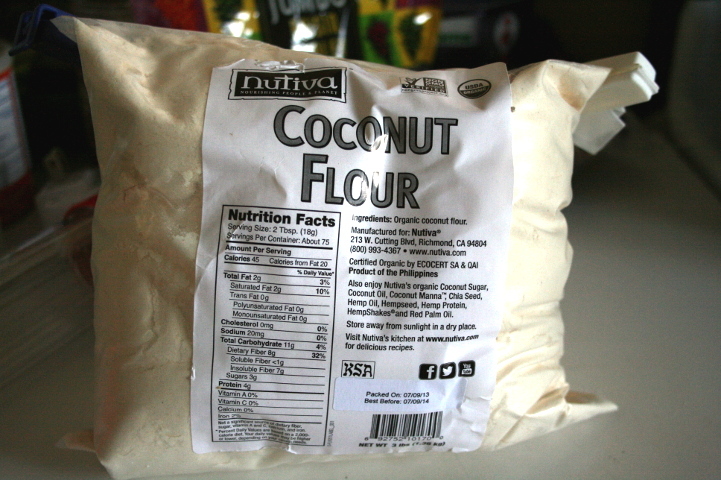 Coconut flour to the rescue! Loaded with fibre and some beneficial fats as well! 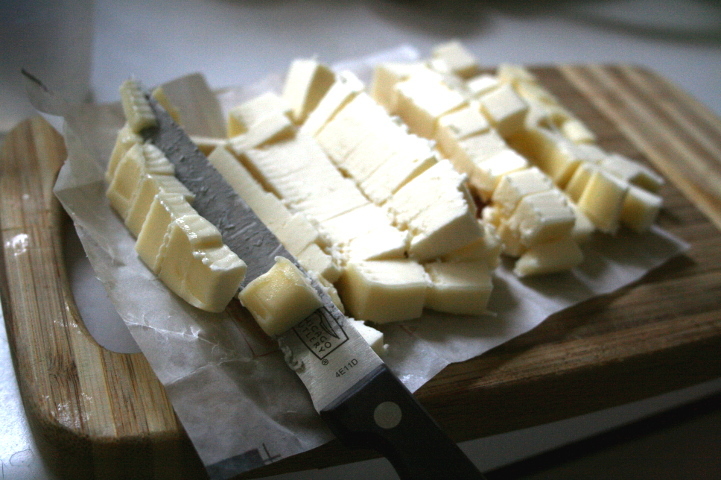 Can’t forget the grass-fed butter, hehe. And some eggs. I love brown eggs. 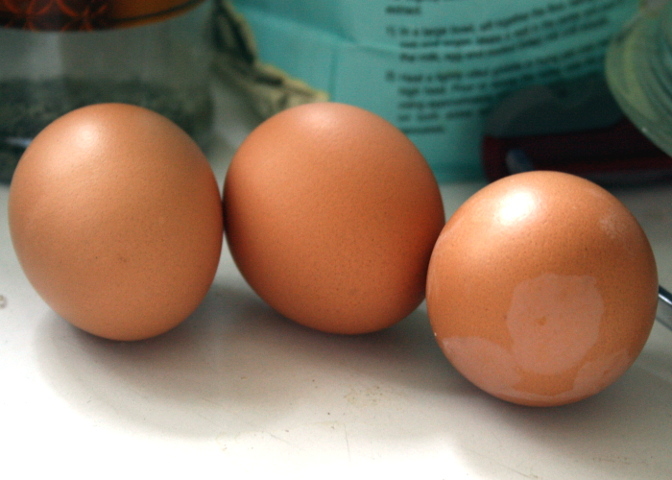 My dad introduced me to brown eggs when I was a kid. He brought me to the farm a couple of times where he would get them. I like the cage-free organic ones. It’s an easy cookie to make since everything is dumped into a food processor all at once and blended (I used a blender since I don’t have a food processor). 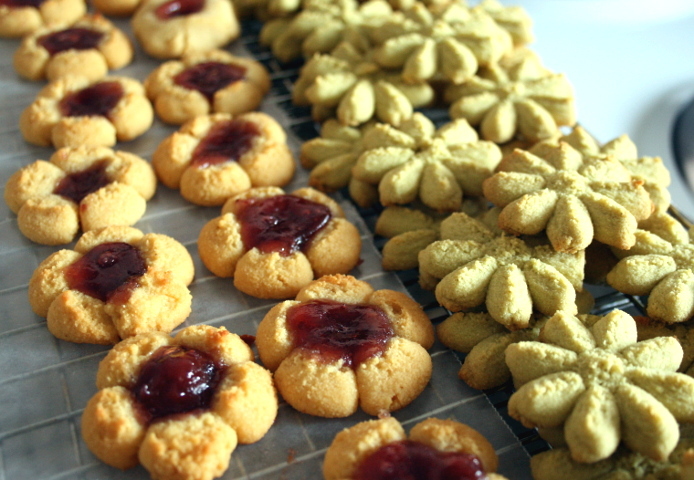 Like my last year’s Easter Biscuits, I flavored these cookies with oil of cassia, which tastes like a cinnamon extract. It’s pretty strong, so a little goes a long way. Oil of cassia is a traditional ingredient for Easter cookies as it is said that this type of oil was used for embalming Christ’s body. So oil of cassia symbolic. If you can’t find food grade oil of cassia, feel free to use a pinch of cinnamon. 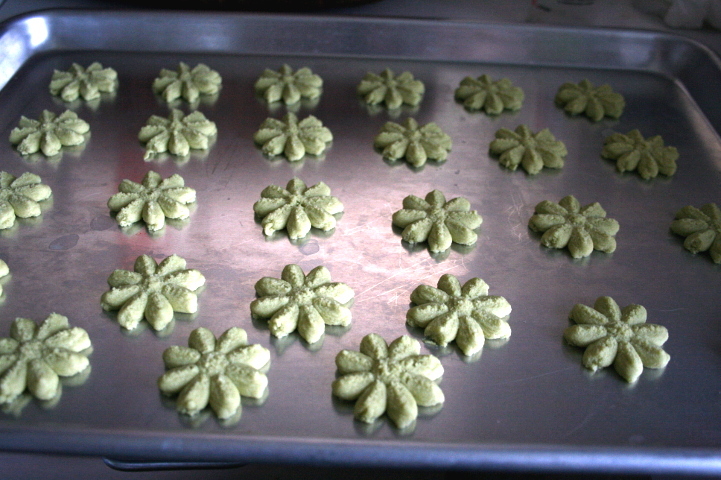 For the green spritz, I used half of the dough and mixed in 1/2 teaspoon of matcha powder. I use Teavana Imperial Grade Matcha (kind of pricey, but good quality matcha is worth it, in my opinion. Plus the canister lasts quite a while even though I drink it often). 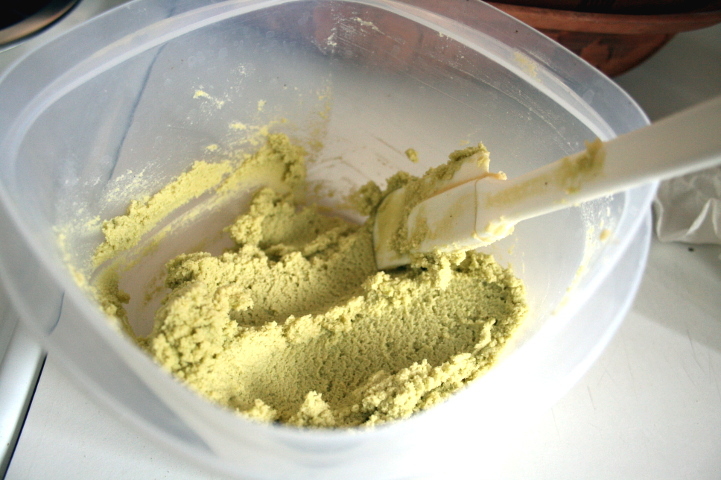 Start with 1/4 teaspoon and gradually add more until you get the right green intensity that you want. 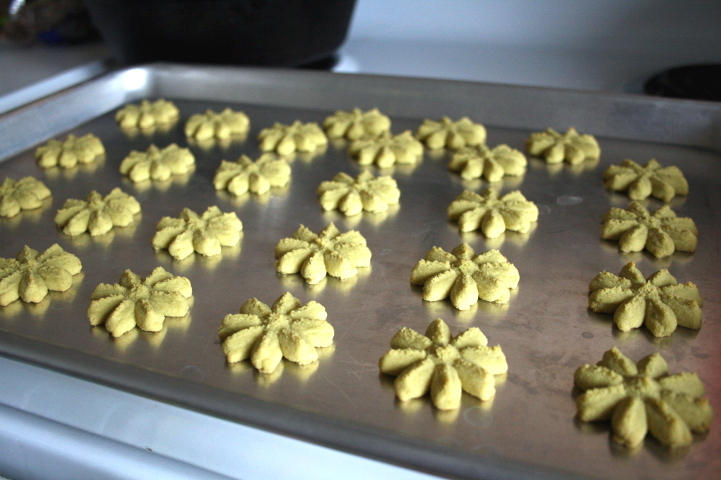 Use a cookie press and pipe them on an un-greased cookie sheet. It’s crucial to keep the pan un-greased as it helps the cookie adhere to the pan. This is one of the flower discs. 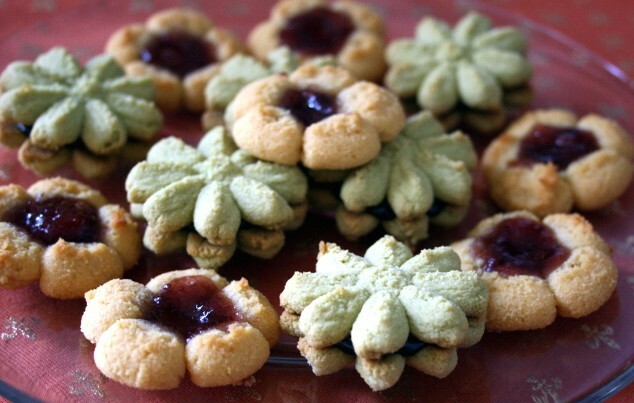 I like green flowers 🙂 These cookies really do come off after baking. I never had a problem with sticking after they are baked. I really like my Kuhn-Rikon cookie press. Very easy to use! After the bake. They don’t rise much and keep their form really well. Making some strawberry jam-filled spritz. 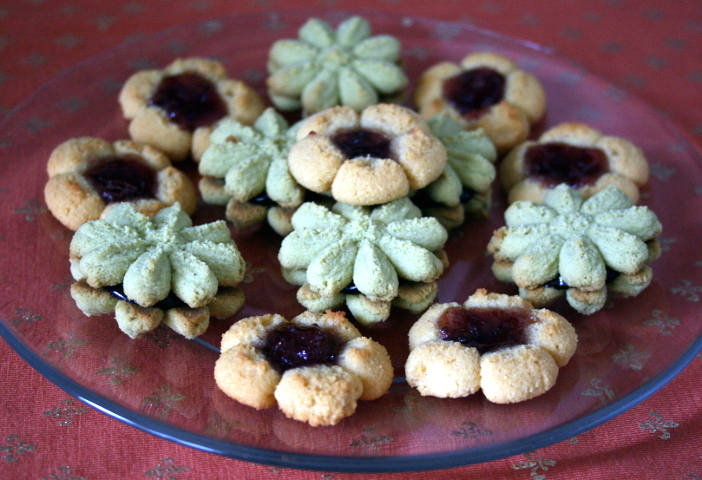 I just used another flower disc, but filled each indentation with some jam. I needed to add some more jam as they baked because the jam thickened and reduced. Check them halfway through the baking time and add more jam if needed. There was a small amount of dough left over for one bigger cookie, so I just rolled it into a ball and made an indentation with my finger, then filled it with jam. One batch makes a lot of cute little cookies. They are pretty fun to make! Kids might like to help make these and enjoy them! I always have some fudge sauce in the fridge. So I melted some and made fudge sandwich spritz! My red wine fudge sauce recipe hardens to a ganache-like consistency when cool or at room temp., so it was perfect for these little cookie sandwiches. If you don’t like red wine, you can sub with some dairy or non-dariry milk. You can also use your favorite ganache recipe if you like. These cookies were nice, though I would like it a bit more crisp as spritz characteristically are. Next time I will add some almond flour and see if they are more crisp. Pretty good nonetheless. Blend all ingredients in food processor until combined. 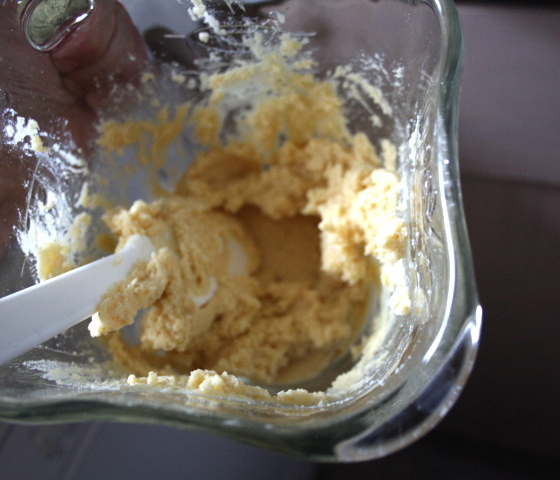 Stop and scrape the sides every now and then so all of the batter mixes evenly. Load the dough in your cookie press (follow manufacturer instrucions) and pipe onto ungreased cookie sheets. 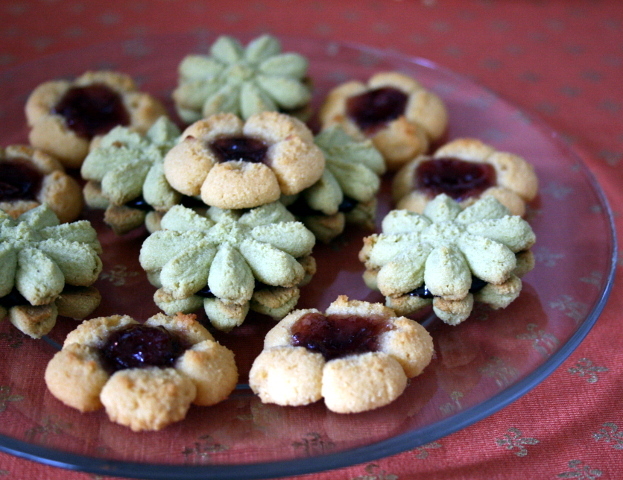 For jam-filled, use the flower which has they empty center and fill with about 1/2 teaspoon jam. May need to add more jam halfway through the cooking time as it thickens. Bake for 8-10 minutes until sides start to become golden brown. Watch them carefully as they bake pretty fast! Let cool on cookie sheet for about 2 minutes, then transfer to wire rack to finish cooling. Decorate and/or fill with chocolate ganache/fudge sauce. Yesterday we celebrated Easter vigil with a dinner buffet with my parents. It was a nice meal. 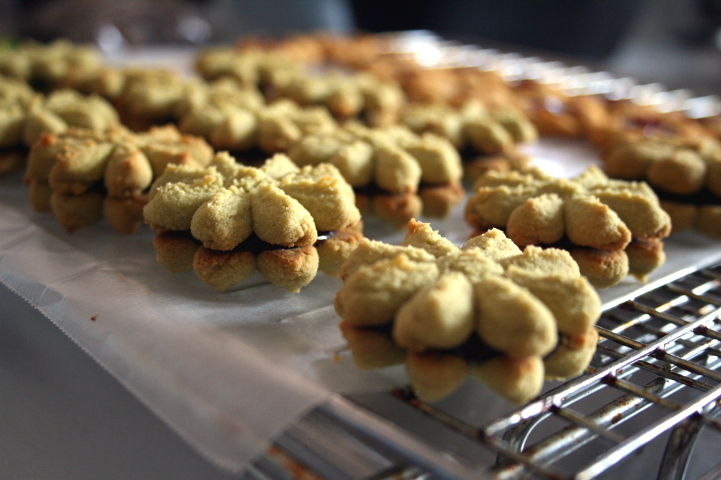 I sent my dad home with some of these spritz cookies (my mom doesn’t eat much cookies except for certain types). I know he will enjoy them with his morning cup of coffee. This entry was posted in Baking, Food, Gluten-Free, Holidays, Recipes, Snacks and tagged coconut flour, Cookie, Easter, Easter biscuit, ganache, gluten-free spritz, jam, Passover, spritz. Bookmark the permalink. Those cookies are just the cutest and absolutely perfect for Spring!!! Duh! 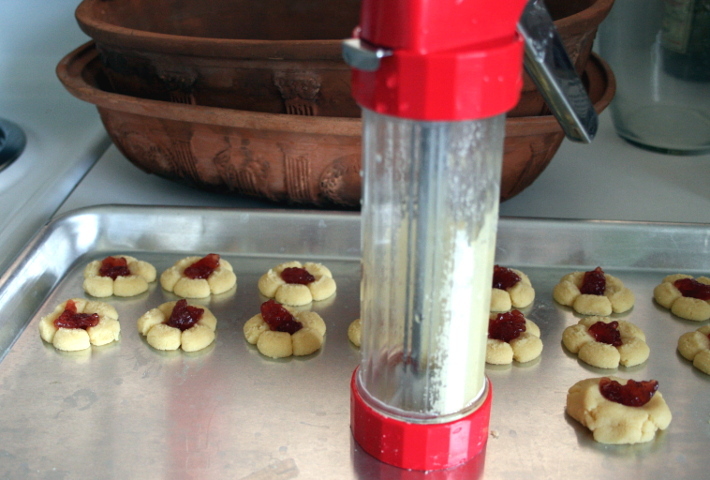 My cookie press (similar to yours) works like a dream and is only used at Christmas…..why!……it won’t from now on!!!! Thanks so much for the ideas!!!!! Hugs…………….. These look awesome Samantha! Gotta get me a cookie press. Happy (belated) Easter to you too!